The guy who won the previous week's Bassmaster Elite Series tournament didn't have a very good day once the weather-delayed derby at Lake Champlain finally got under way on Friday. Neither did the guy who triumphed the last time the circuit visited the big lake that straddles the New York/Vermont border. A whole bunch of others fared much better, though. 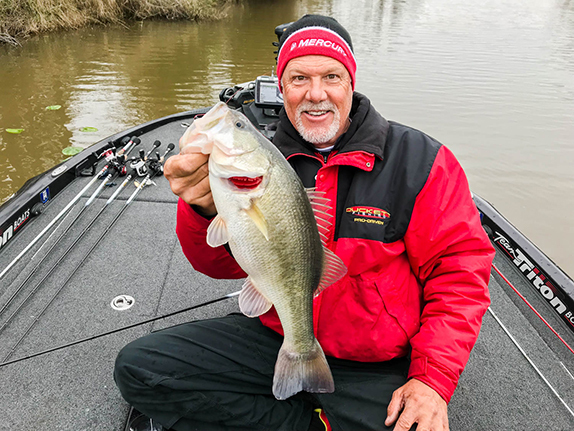 Texan Todd Faircloth caught a 21-01 stringer to grab the initial lead at the second-to-last event on the regular-season schedule. He heads a trio of veteran competitors who surpassed the 20-pound threshold � Alton Jones boxed 20-11 and Jeff Kriet weighed 20-04. Brandon Lester (19-15) and Jason Christie (19-08) round out the top 5. 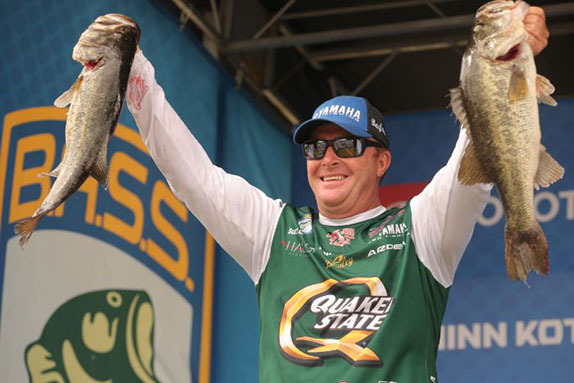 Kevin VanDam, who won last week at the St. Lawrence River and came into this event at No. 3 in the points standings as he chases his eighth career Angler of the Year title, caught just 12-13 and is mired in 100th place. 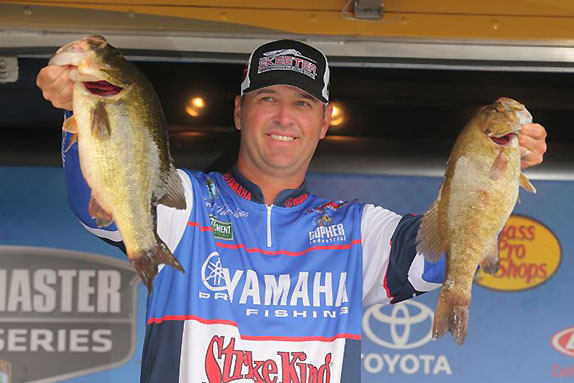 Tim Horton, who prevailed by a double-digit margin at Champlain in 2007, is one spot lower than KVD after weighing 12-07. AOY leader Brandon Palaniuk had a solid day and is in a three-way tie for 21st. He started the tournament with an 8-point advantage, but his margin grew as Casey Ashley (who came in at No. 2 in the points but currently sits 75th in the tournament) and VanDam both struggled. Only two competitors in the 109-angler field failed to weight a limit. There were 61 bags that weighed at least 16 pounds. The strong north wind that led to the cancellation of day 1 could return on Saturday. The forecast also calls for a partly cloudy sky and a high temperature of 74 degrees. The field will be cut to the top 51 following the weigh-in, with the winner determined Sunday based on highest three-day weight. Faircloth's day-best bag consisted of four largemouths and a smallmouth. The biggest largemouth was a 6-01 specimen that took big-bass honors. "I had a decent practice, but I wasn't expecting that," he said. "A 6-pounder here is a giant. I felt like 17 to 18 pounds would be a good day and I exceeded that by quite a bit, so I'm pleasantly surprised. "I mixed it up and fished for both (species) and I've got a couple different deals working. I lost one big smallmouth, I don't know how much it would've helped me, but I'm not complaining. I had a good day." Alton Jones weighed five largemouths that were all basically the same size. He said he had a bit of company at a couple of his stops, but never felt crowded. He's not concerning himself with the possibility of more powerful winds on Saturday or their potential ramifications. "It could have an effect, but I know where I'm going and what I'm going to do. The wind's not going to change my plans." Jones said that his big stringer "just kind of happened." He weighed in all largemouths, none of which were heavier than about 4 1/2 pounds. "I'm just fishing by the seat of my pants � I'm moving around a lot and I'm not too worried about crowds. I don't know about the wind tomorrow until I see it; wind always repositions fish, but I don't think they're going to swim five miles away. They'll be somewhere nearby and I'll just have to adjust and see what I can figure out." Kriet traveled north from the launch in Plattsburgh, N.Y. and went through about 50 keepers to compile his weight. He took all smallmouths to the scale. 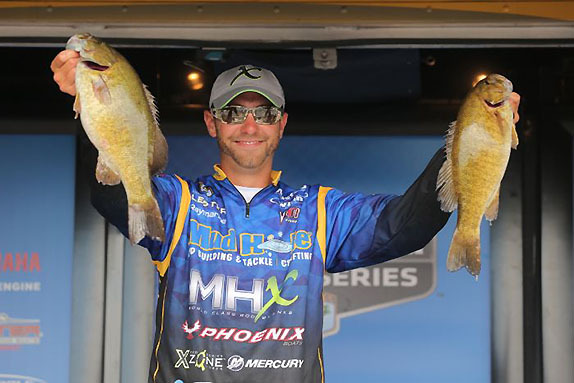 "I fished for largemouths every day in practice and couldn't get anything going," he said. "With the smallmouths, I didn't know what I could catch � I wasn't going in thinking 20 pounds, but I didn't press in practice. Jeff Kriet used a variety of techniques to catch a big bag of smallmouths. "I didn't hit very many places, maybe four. I had a little bit of company, but not a ton. I just hope the fish are where I need them to be tomorrow." He employed an assortment of techniques that included a dropshot rig, a jig and a small swimbait. The swimbait enticed his biggest fish, which weighed 4-13. "I'm around fish. I just need to make sure that when I pull up to fish a spot, I'm not thinking about the next spot. I need to fish the spot I'm on and fish it right. "I'm not going to worry about the wind right now � if it screws with me, it'll screw with a lot of other people, too. The only bad thing is I might not be able to run around." Lester said he had a good practice and anticipated having a strong opening day. "You never really know, but I had some good bites and I knew it was definitely possible," he said. "What I'm doing is just typical finesse smallmouth fishing with light line. It's nothing crazy or extravagant." He caught both species, but ended up weighing all bronzebacks. Each of his fish was in the 4-pound class. "The day started out really slow and for the first hour and a half all I had was one little 12-incher and it wasn't looking good. 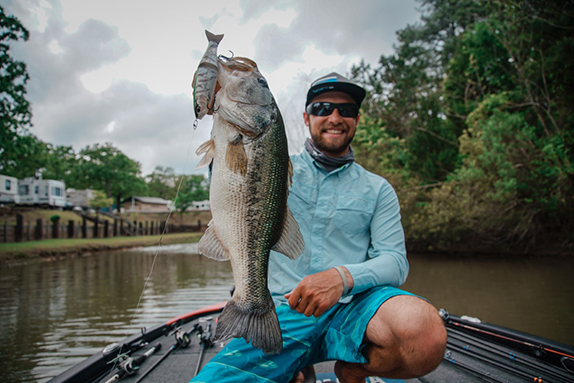 I finally caught a couple decent ones and settled down and started making some good decisions, and things started happening." Brandon Lester weighed all smallmouths, but lost a big largemouth late in the day. He caught one of his weigh-in fish from a community hole, but fished alone for most of the day. He made his final cull about an hour before check-in. "I had the opportunity for a bigger bag. At the end of the day I was going down a bank and I had a big largemouth roll on my bait, but it didn't get it. I'll go by and see if it's still home tomorrow." It was a bittersweet day for Shaw Grigsby as the announcement of his pending induction into the Bass Fishing Hall of Fame was announced Friday, but he was unable to punctuate that honor with a big stringer. "I don't know what went wrong," he said. "I found a bunch of fish in practice, but today I never had a big bite. I culled a limit and a half of largemouths and a limit and a quarter of smallmouths, but the biggest one I had was a 3-pounder. "I basically stayed shallow, in the 6- to 10-foot range, but I think I'll just move out deeper and try something different tomorrow. I need to hunt up some 25- or 30-foot water and try that deal." > Day 2 stats � 109 anglers, 107 limits, 1 four, 1 zero. > VanDam said he lost several bites that would have greatly boosted his sack. "Some days everything goes right and other days you can't get a break," he said. "I'm around the right kind of fish to do well, but I didn't execute. It's very disappointing."